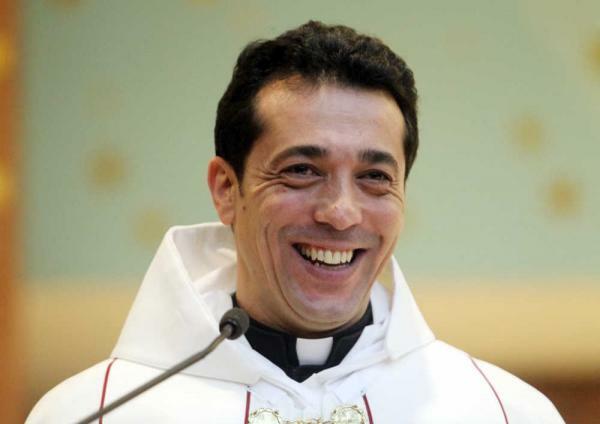 Since 2014, Father Wissam G Akiki has been the pastor of St Joseph Maronite Catholic Church. Father Akiki came to St Joseph from St Louis, MO where he was ordained into the priesthood in 2014. Following in the centuries old tradition of Eastern Rite Maronite priests’, Father Akiki became the first married priest in the USA in 100 years when his ordination into the priesthood was granted approval by his Holiness Pope Francis and his Excellency A. Elias Zaidan, Bishop of the Maronite Eparchy of Our Lady of Lebanon of Los Angeles. Father Akiki was born in Zahle, Lebanon and recalls that as a small boy he wanted to be a priest or a Captain in the Lebanese Army. In his early devotion to St. Sharbel and through his religious education, Father deemed the priesthood as his true calling. Today Father Akiki, along with his lovely wife Manal and his two beautiful young daughters call Phoenix home. Father Akiki brought with him to St Joseph his belief that “a strong faith and belief in God through St Sharbel, anything is possible.” It is this belief, and after witnessing the miracle that occurred at St Joseph on January 18, 2016, where a blind women’s vision was restored, that he, in gratitude and devotion, constructed the largest shrine dedicated to St Sharbel in North America. St Joseph Maronite Catholic Church is now a pilgrimage destination and is proud to welcome visitors from around the world to come pray and meditate at the Shrine of St Sharbel. St Joseph Maronite Catholic Church was established in 1997 through the efforts of a small group of Maronite Catholics. Prior to 1997, the Maronite Catholic Church in Phoenix did not exist. Up to this time, Maronite’s worshipped at various Roman Catholic parishes around town. Once a month, a Maronite priest would travel to Phoenix to perform Mass in the Easter Rite tradition. This small group of Maronite’s organized and together raised the funds to purchase an old Baptist Church that was for sale. Upon purchasing the church, the Maronite’s cleaned up the property and made modifications to the interior of the church to convert it into a proper Catholic Church with an Eastern Rite Altar. Once established, the Eparchy of Our Lady of Lebanon assigned a Maronite priest to the newly created parish. Since then, the parish has grown and established numerous programs and events to promote the Maronite faith and Lebanese culture. The American Lebanese Festival, held on the first weekend of November is now in its 17th year and is a Phoenix mainstay of cultural events. The church has one of the best religious education programs in the diocese and maintains cultural ties through its traditional Lebanese Dance called Dabke. St Joseph also enjoys a large and devoted Hispanic following and is proud to welcome the Hispanic culture and traditions into the parish. 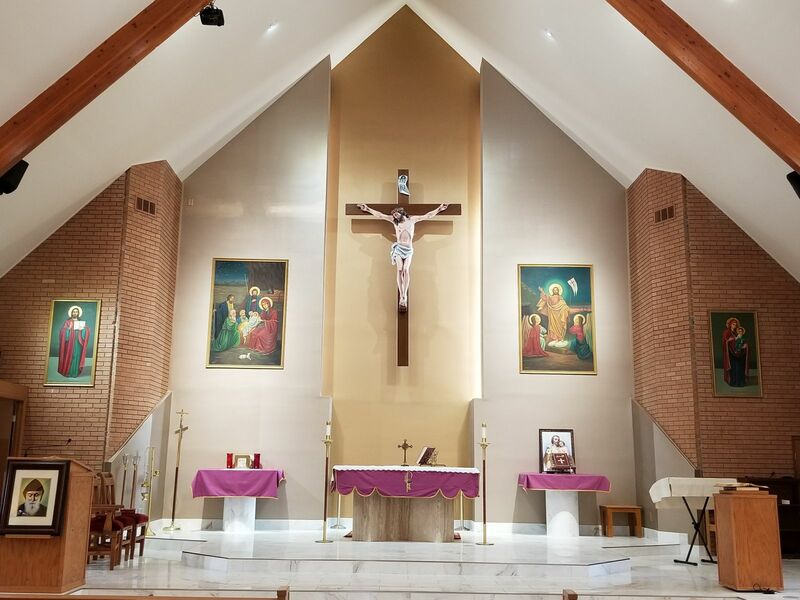 Through this diversity, St Joseph Maronite Catholic Church is the only parish in the country to offer a Healing Mass dedicated to St Sharbel, on the 18th of every month at 7:00 PM in English, Spanish, Arabic & Aramaic. It is a uniquely spiritual and beautiful Mass. St Joseph, in 2016, was designated a pilgrimage destination church by the Bishop A. Elias Zaidan of the Eparchy of Our Lady of Lebanon of Los Angeles. In March 2017, his Excellency dedicated the largest shrine of St Sharbel in North America. We welcome everyone to come join us in worship and pray or meditate at the Shrine of St Sharbel that is open year-round 24 hours a day.